Flushing Ave has been such a bustle of activity recently, with the opening of Forrest Point and the closing of the Wreck Room, that it can be easy to forget about a quiet little Thai fusion restaurant and bar that opened at the beginning of the summer, Koda. But that would be a dire mistake. 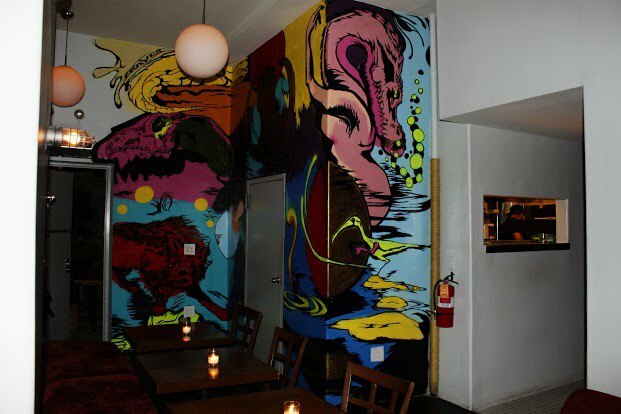 An aquatic mural on the wall of Koda. 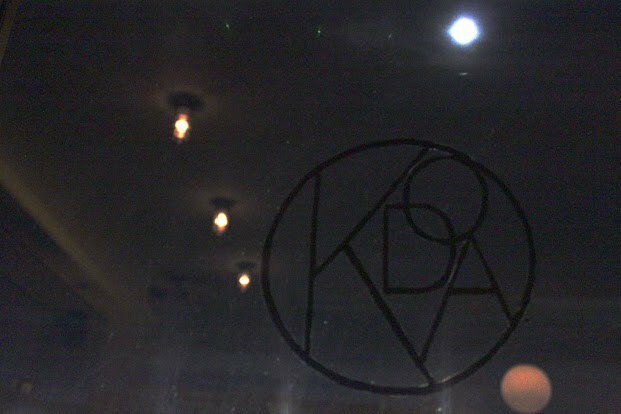 The backbone of Koda's appeal is their 2 for $5 pints (!!!) of Hite, a light, inexpensive Korean beer, served in frosty, handled mugs. 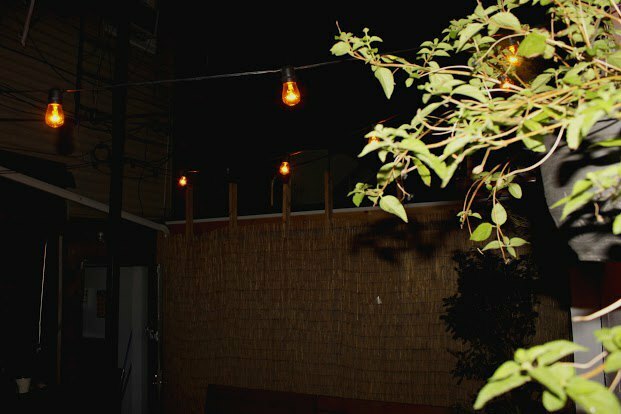 For every night spent luxuriating in the artisanal bounty of life in Bushwick (the 7th coolest neighborhood in the world), you really need at least 1.5 nights of sloppy drinking and goofing to avoid the creep of pretentiousness. 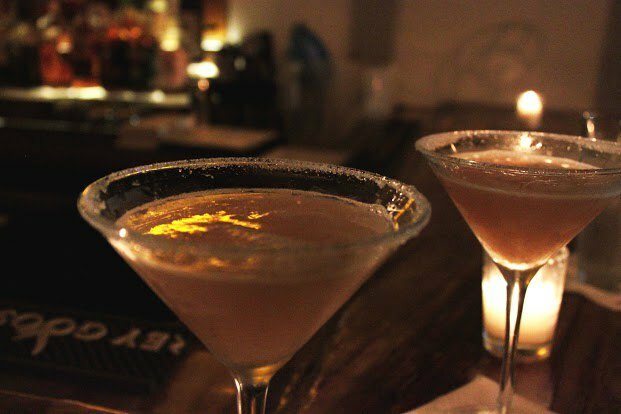 But all the same, don't hesitate to explore their cocktail menu: the Tamarind martini ($8) has a delightfully sour bent, and the black-and-white Mojito ($8) won't disappoint in its minty-ness, nor its alcohol content. The tamarind martini in all its glory. And to ward off that too-sloppy bike ride home, grab a bite to eat from their Thai fusion menu. Not every dish hits the right note (I'd skip the shrimp pasta), but some are exactly on the mark. 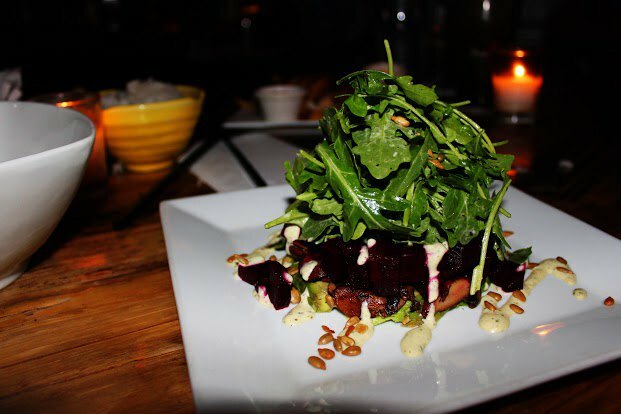 The chicken wings, particularly the spicy ones, will stick to your guts in the way a good wing ought to, and the arugula beet salad is the perfect palate cleanser afterwards. 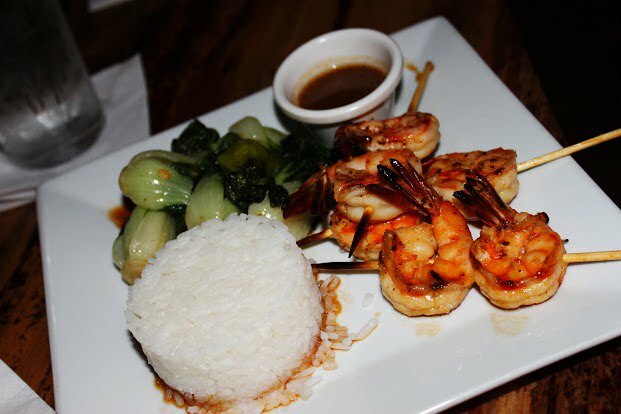 The shrimp and rice is a simple entree, but the sauce is succulent enough to carry the dish. And the classic fish and chips are fantastic. The shrimps with rice and bok choy. The arugula salad, looking so fine. 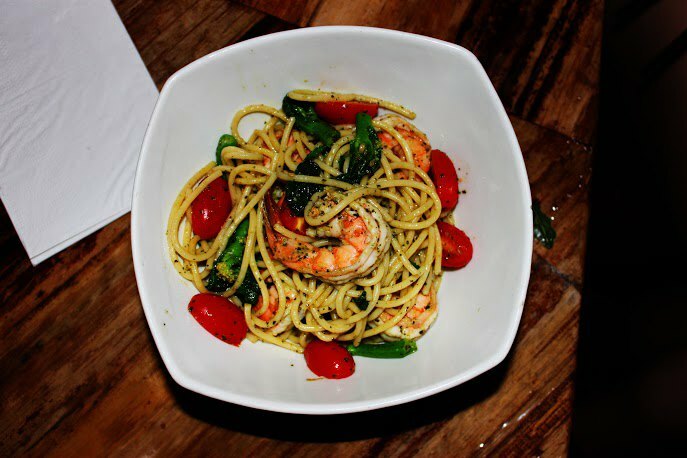 The shrimps with pasta and cherry tomatoes. 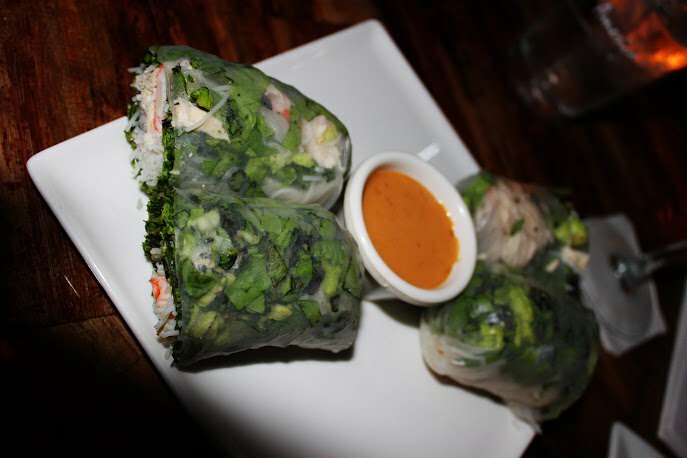 Summer rolls, served with peanut sauce and stuffed with chicken. 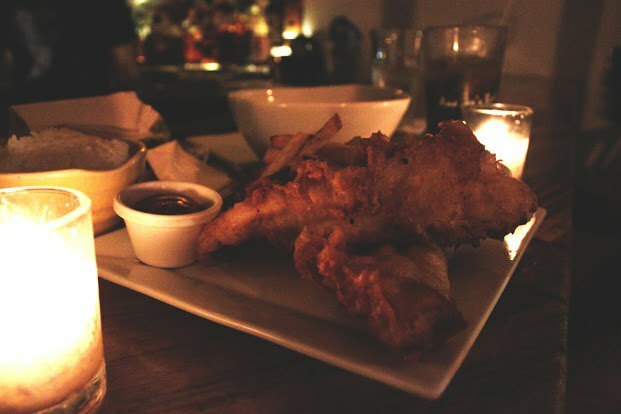 Fish and Chips, a classic bar favorite. 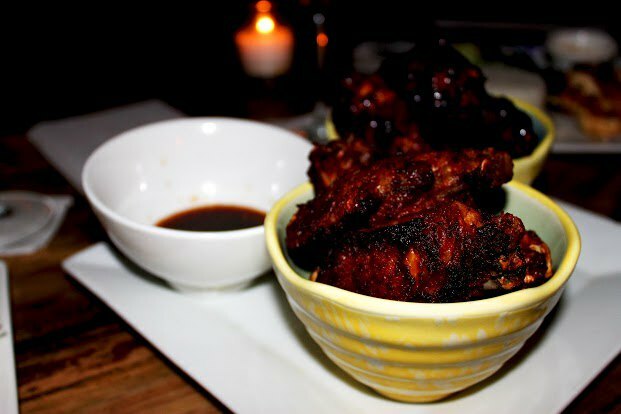 Definitely don't miss the chicken wings. I fell in love with Koda after happening upon an impromptu screening of Rocky Horror Picture Show at midnight on a Sunday night. There weren't too many people in the bar, but more than half of them hopped up to do the Time Warp with me. The red velvet benches and the golden dark lighting set the mood perfectly, although I don't know how well those benches will stand up to all that Hite splashing around. And if the vibe gets to be a little too much, step into the back yard. It's quiet and softly lit, and if you time it right, you can stand up on the benches and peek over the fence to witness some occult ceremony at Catland. And there it is, Bushwick: the goofiness and the divine, the sloppy and the sacred, the ancient and the supernaturally modern, neatly aligned for just a moment. A clean, quiet, beautiful back yard. Koda is located at 985 Flushing Ave. 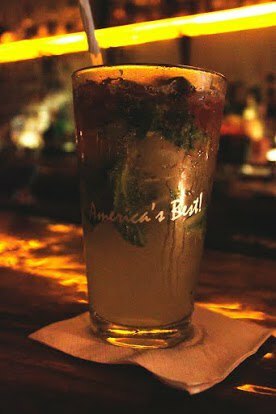 They're open from 12 PM to 1 AM weeknights and 12 PM to 4 AM weekends.